SPELLBINDERS-Nestabilities Dies. 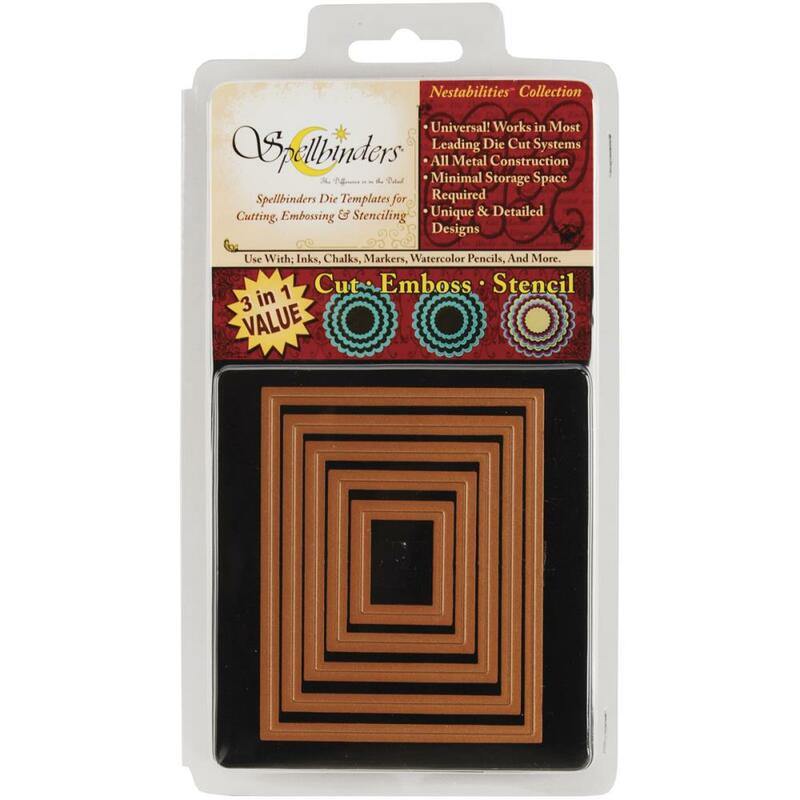 These dies feature cutting, embossing and stenciling capabilities. Each set of dies nest in size approximately 1/4 inch larger than the previous die and will work with most die-cutting systems. 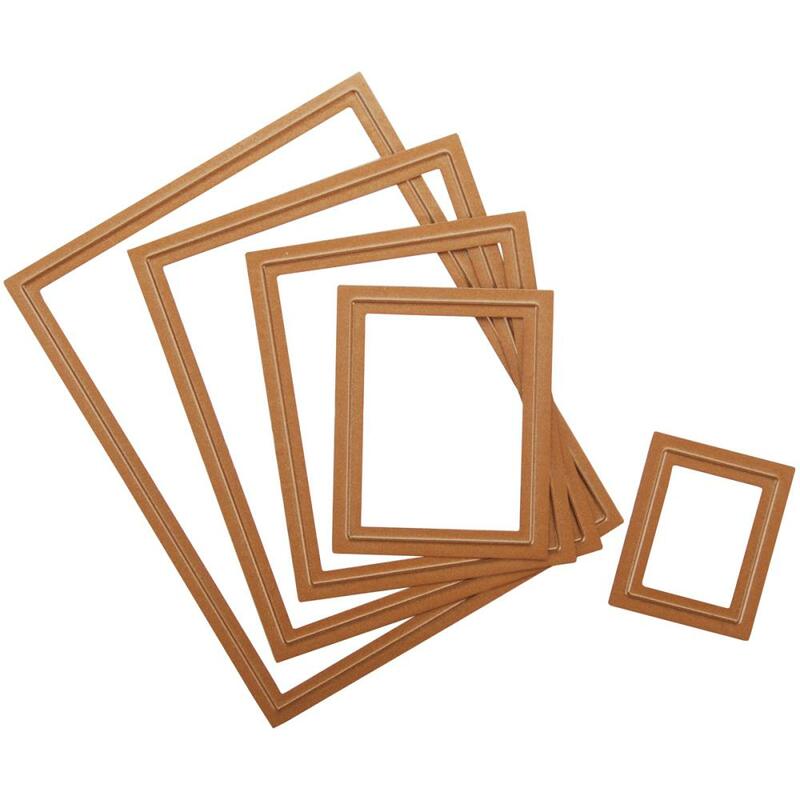 This package contains Classic Rectangles Large: a set of five nested dies in a 10-1/2x5-1/4 inch package.